Dhaka, 15 October, Abnews: Sony’s superhero film “Venom” held onto the lead this weekend in North American box offices, again followed by last weekend’s No. 2 “A Star Is Born,” industry tracker Exhibitor Relations reported Sunday. 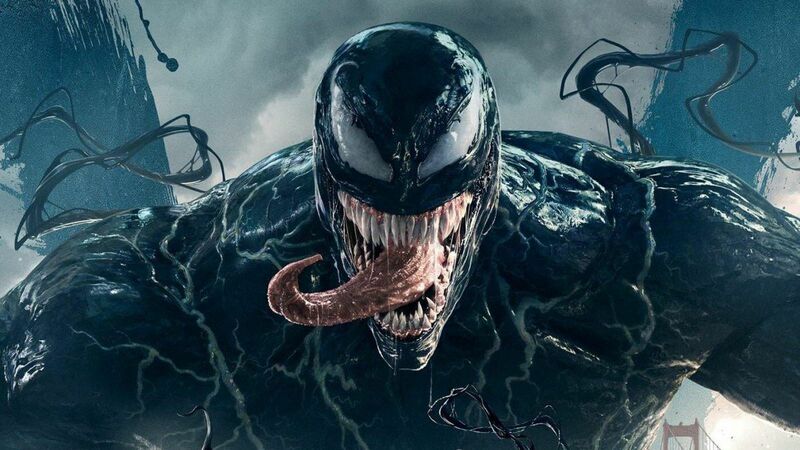 “Venom” took in an estimated $35.7 million for the three-day weekend, dropping from last weekend’s $80 million, while Warner Bros.’ well-reviewed “Star” had $28 million in ticket sales, down from $41.2 million. Universal’s highly touted astronaut drama “First Man,” from Oscar-winning director Damien Chazelle, took in just $16.5 million in its opening weekend, to place third. “Venom” stars Tom Hardy as a journalist who becomes the superpowerful host for an alien symbiote; his character is a villain in the “Spider-Man” world. Panned by critics, the film, which also stars Michelle Williams, nevertheless has had strong global ticket sales. “A Star Is Born,” the third remake of a 1937 film by the same name, marks the directing debut of actor Bradley Cooper, who plays a hard-drinking country/rock musician who falls in love with a young singer played by pop superstar Lady Gaga, only to see her star rise as his tumbles. “First Man” opened with high expectations, reuniting Chazelle with Ryan Gosling, his star from popular musical “La La Land.” Because of its adult-skewing audience, analysts predict a long run for the film, which recounts Neil Armstrong’s journey to the moon in 1969. Fourth place went to Sony’s “Goosebumps 2: Haunted Halloween,” which had ticket sales of $16.2 million. The family-friendly sequel, based on the children’s book series by R.L. Stine, stars Wendi McLendon-Covey and Madison Iseman. In fifth was Warner Bros. animation “Smallfoot,” with earnings of $9.3 million. The comic film flips the usual Bigfoot tale on its head, telling the story of a group of Yeti terrified when they come across a human. Voices are by Channing Tatum, James Corden, Zendaya, Common and others.